Design and edit Adobe InDesign files on your Mac faster and easier! This ultra-thin form-fitting keyboard cover does not affect typing ability or speed, and includes popular shortcuts color-coded -- right on the keys! So you spend more time on your design and less time learning and memorizing shortcuts! 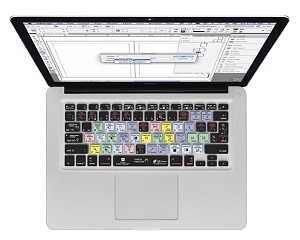 InDesign keyboard covers are compatible with InDesign CC and earlier.